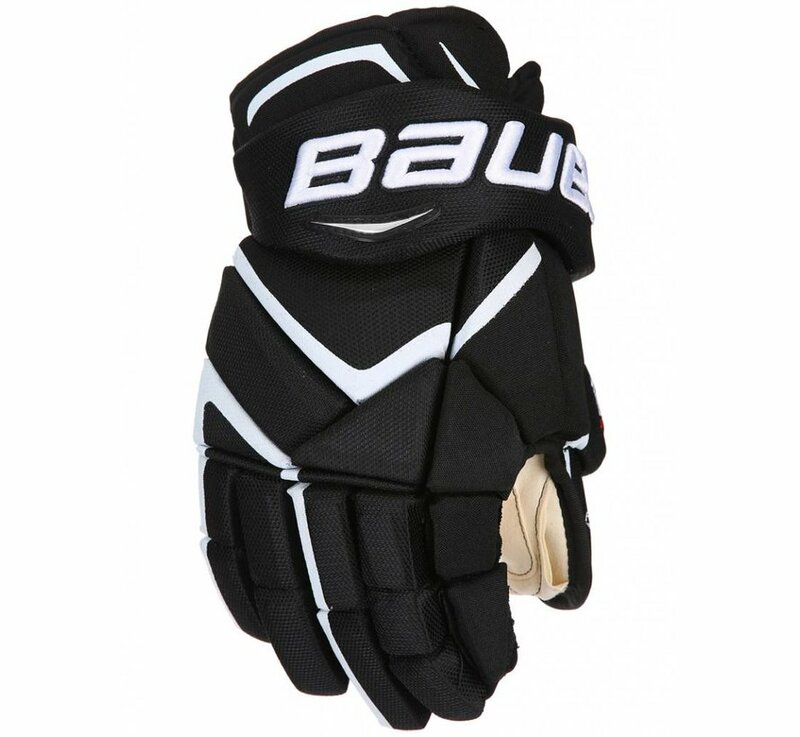 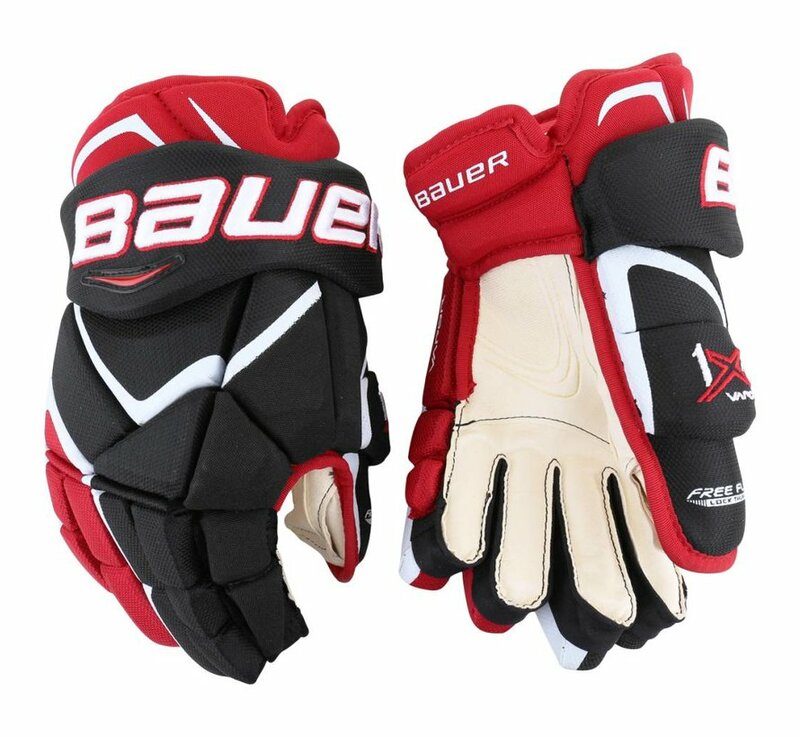 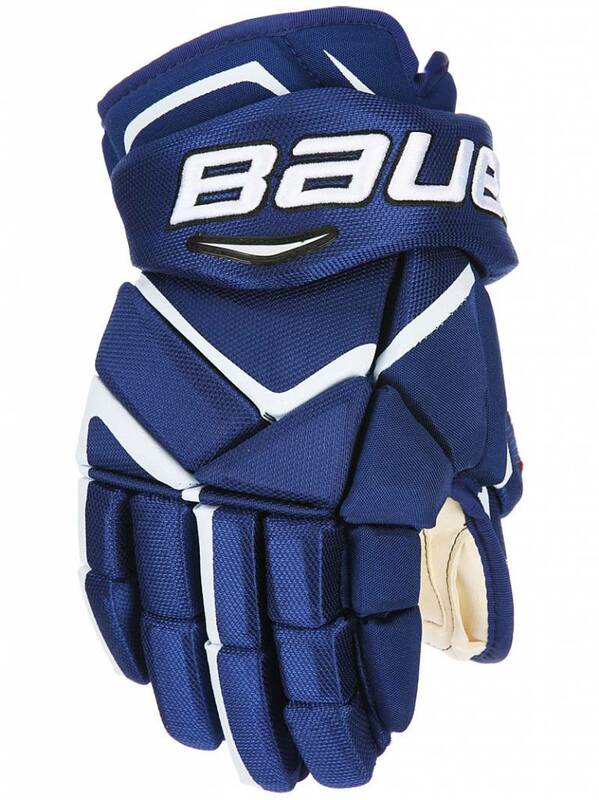 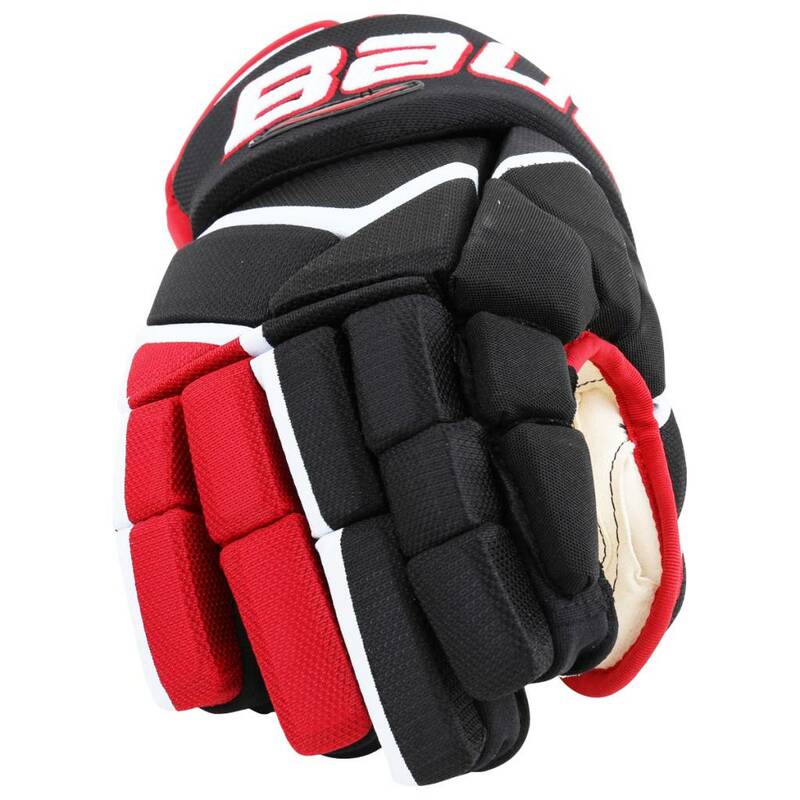 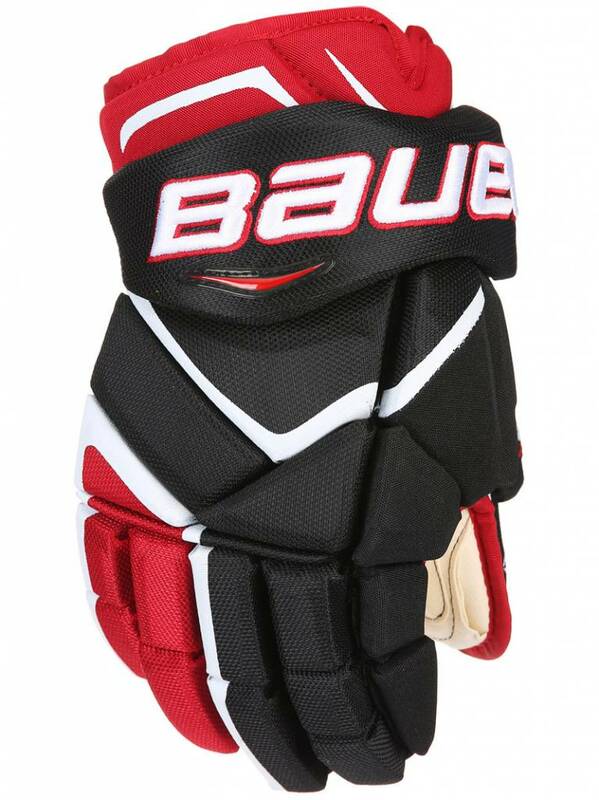 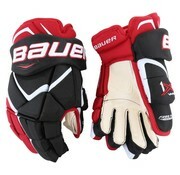 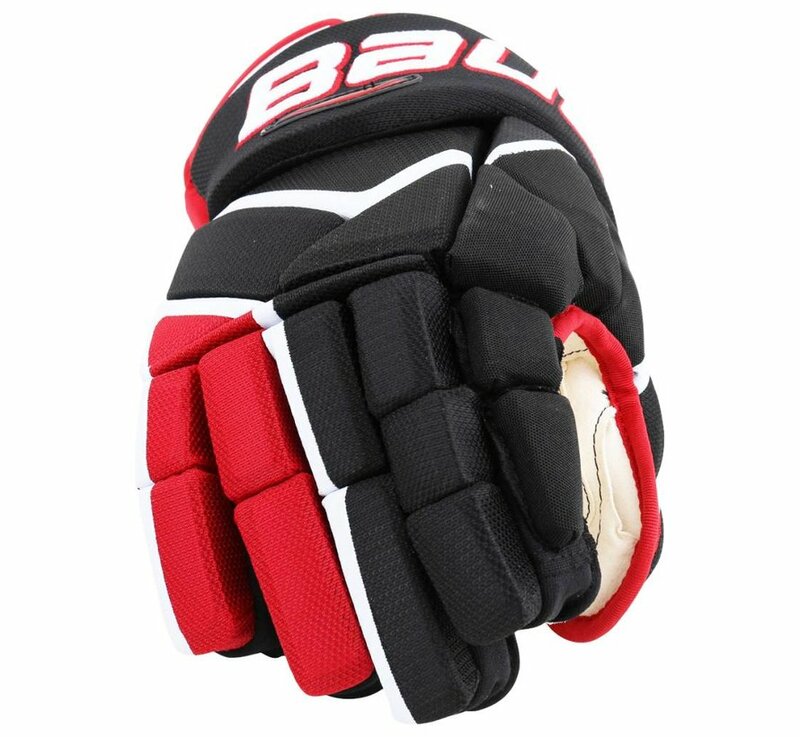 The Bauer Vapor 1X Pro gloves are a top tier model from the latest Vapor series. 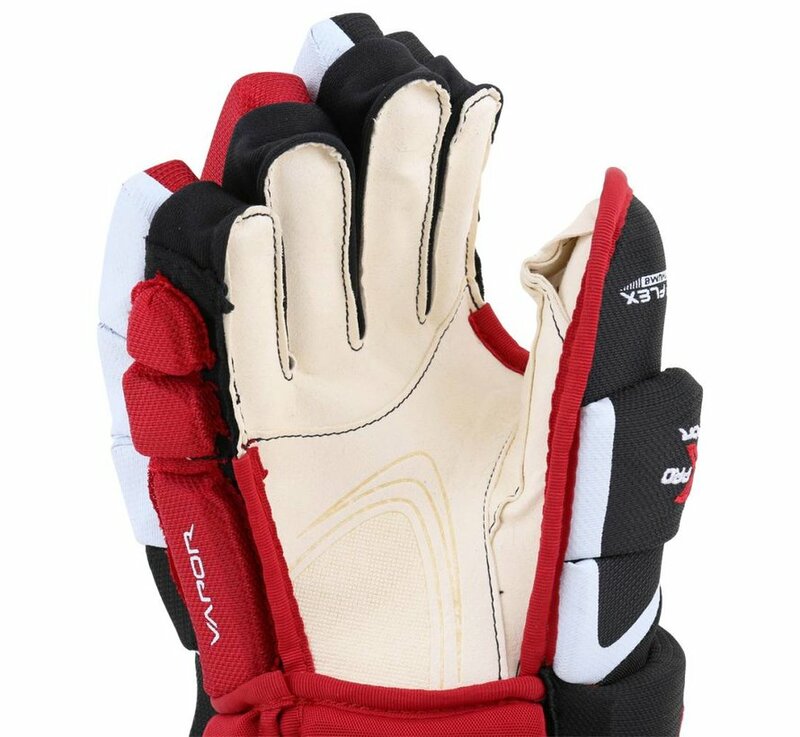 The vastly popular vapor line will offer a tapered fit which is wider in the cuff with a more standard fit through the fingers. 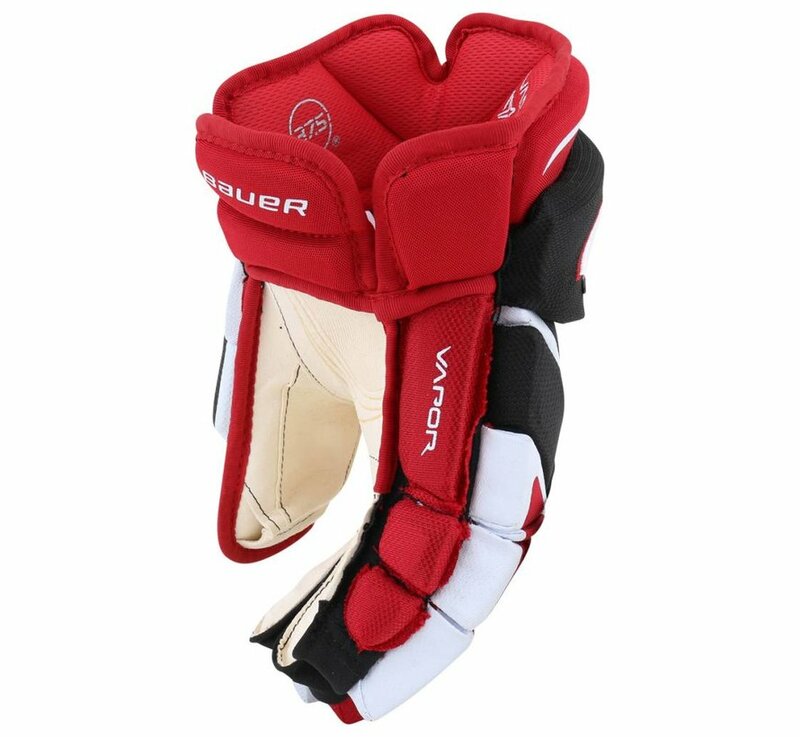 The pro style one-piece cuff provides excellent wrist mobility while the standard fit through the fingers helps improve overall control. 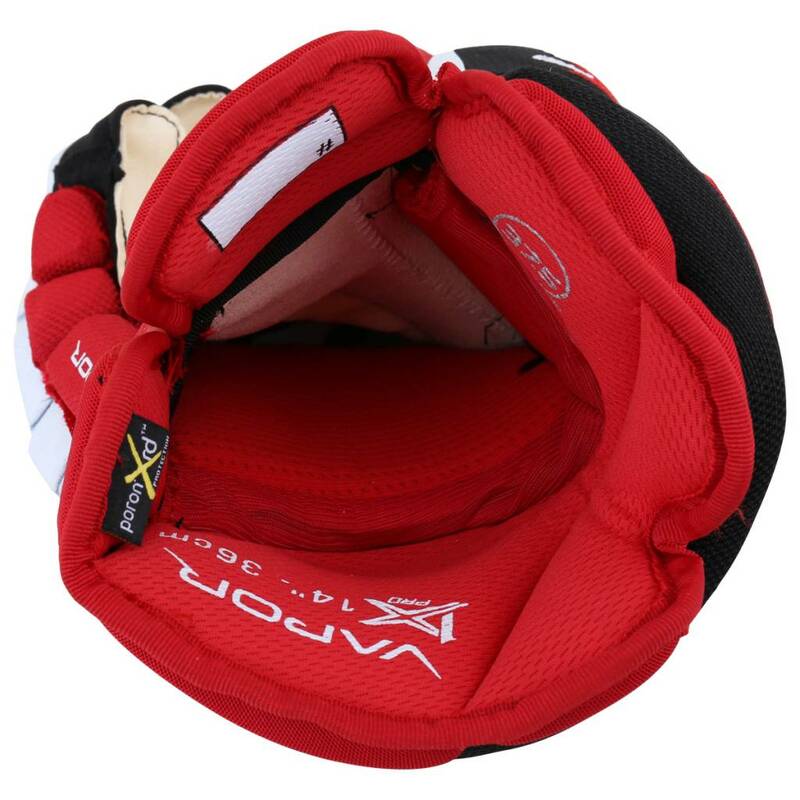 As far as protective properties, the 1X Pro uses a double density foam protection which includes their Poron XRD as one of those layers throughout the entire glove. 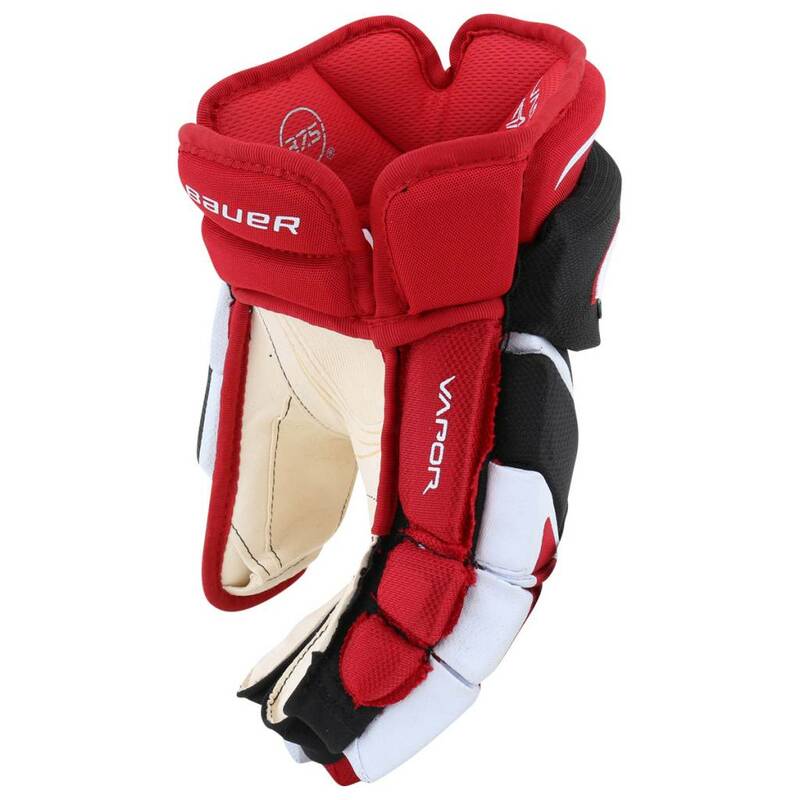 To really ensure maximum protection the 1X Pro is outfitted with Full PE inserts in the cuff, backhand, and fingers. 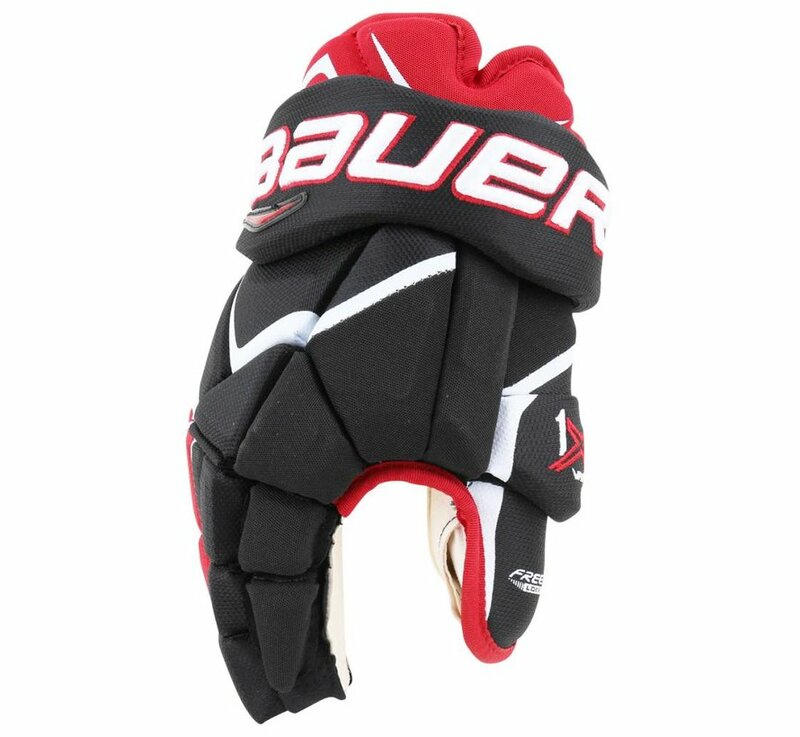 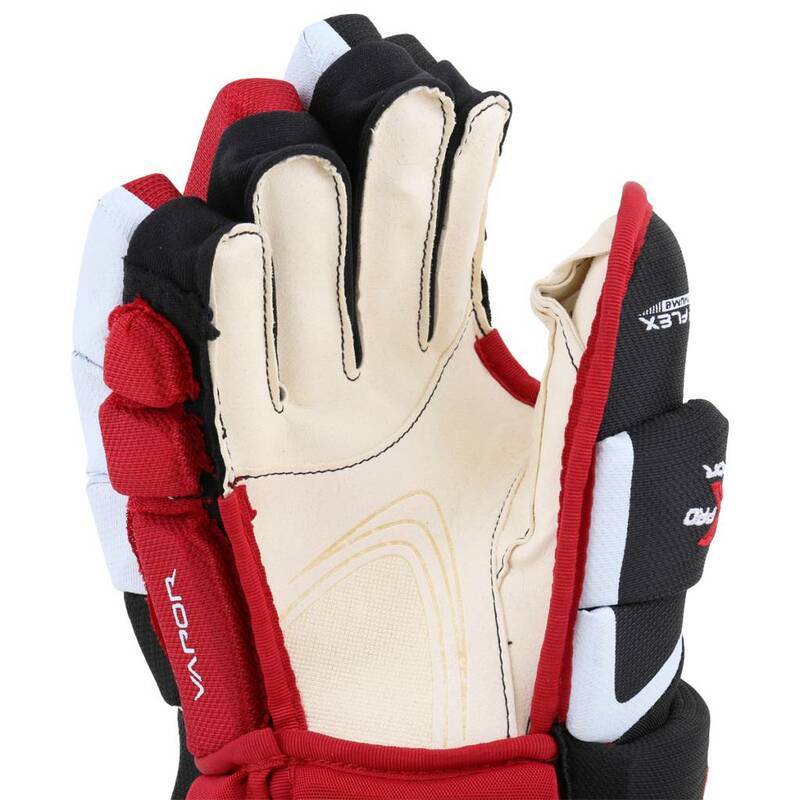 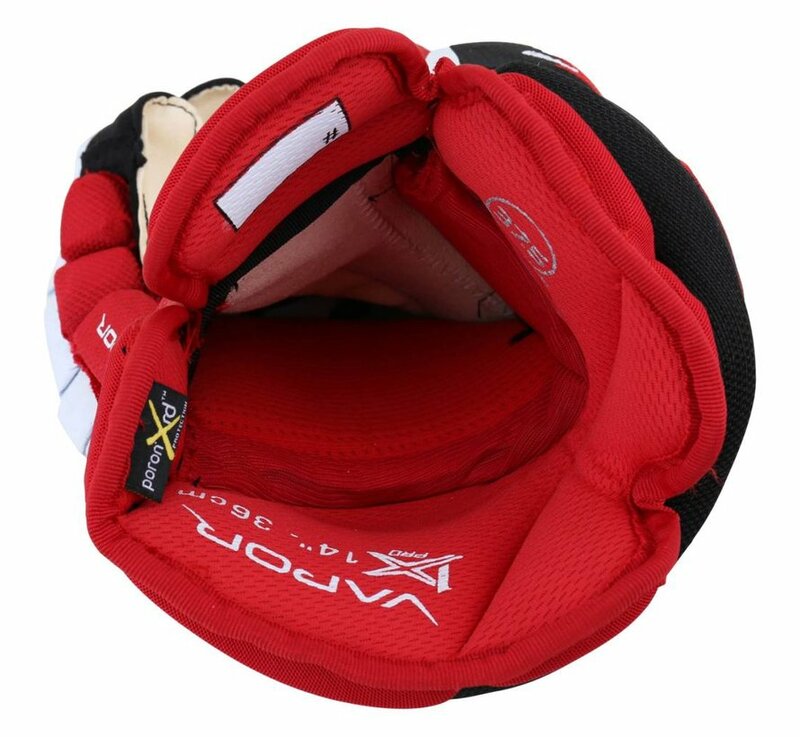 But Bauer didn’t just stop there, the backhand padding found on the inside of the glove acts as yet another layer of defense with the addition of XRD foam working alongside the comfort foam. These gloves will come in a pro ivory Nash palm with an added overlay to give this glove a great overall soft feel of the puck and still be durable in high wear areas. 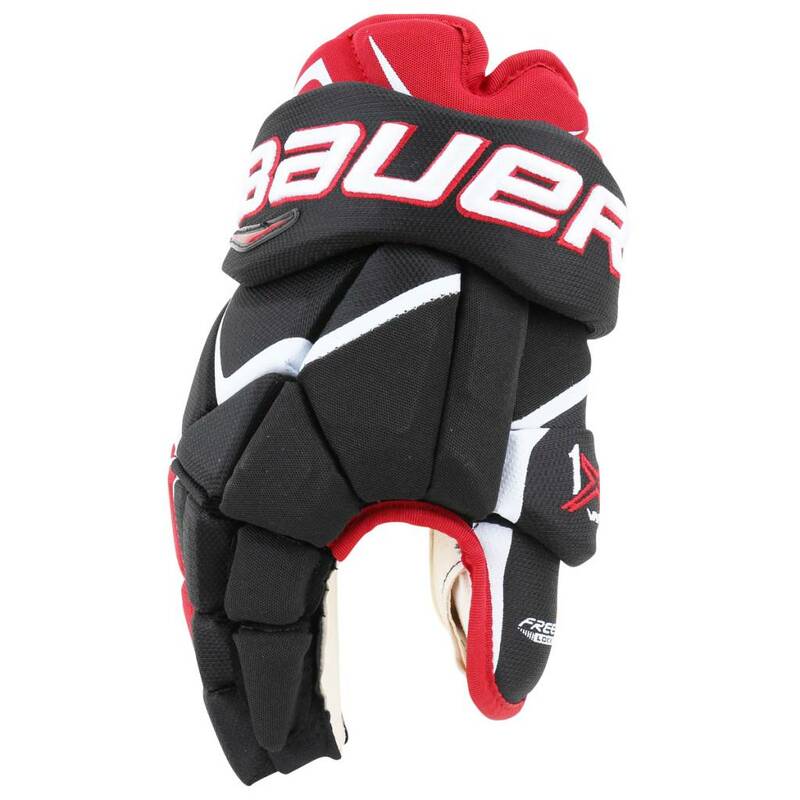 For the lining material, Bauer’s 37.5 Technology keeps your hand cool and dry with its moisture management properties. 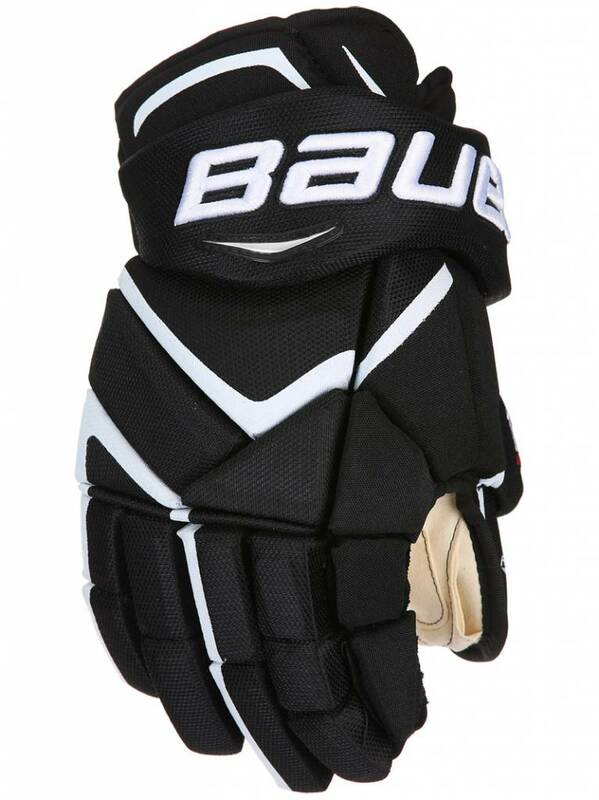 This works by changing water into vapor and allows that vapor to escape out of the glove. 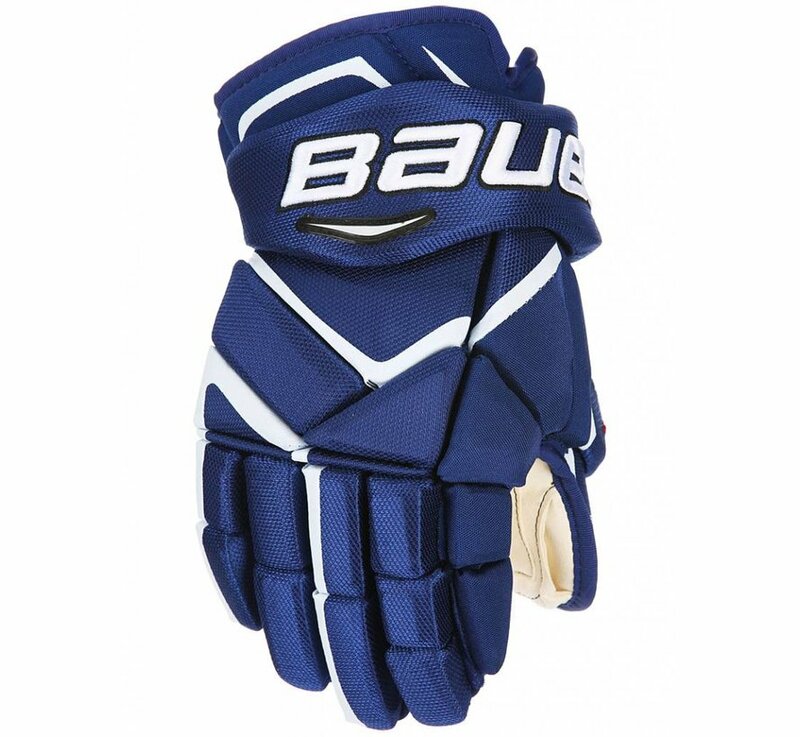 Because the Vapor lineup is really all about mobility, this glove features a 3-piece index finger, and 3-piece flex lock thumb to give you the ability to maneuver and grip the stick without limitations. 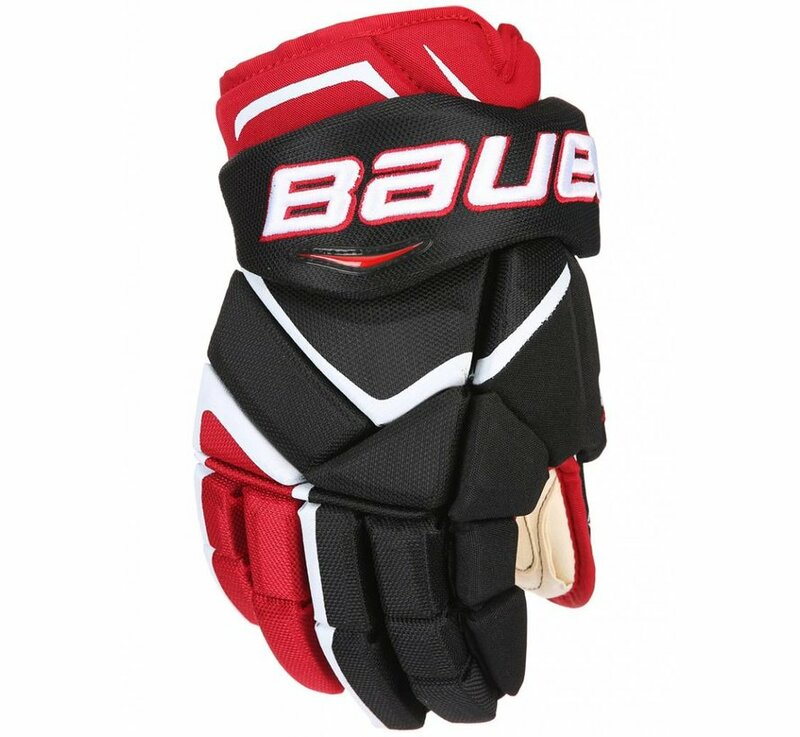 As a high end glove aesthetics are on point with a fully embroidered two-toned and 3-D Bauer logo giving the 1X Pro an incredibly clean and professional look.